GREENWOOD, Indiana — For many, the songs of Bruno Mars brings a smile to their face — but not for Roger Washburn. Police say a song on the radio by the “Uptown Funk” singer drove the 71-year-old Washburn to pistol whip his friend of over 50 years in a fight over who actually sang the tune. The victim reported to cops that he and Washburn got into a vigorous debate last week over the Mars song, which Washburn insisted was written by someone else. When the man showed Washburn proof that it was indeed a Bruno Mars song, the argument grew more heated until Washburn pulled a gun. 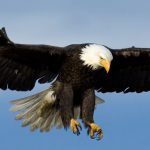 The victim then called Washburn a “chicken (expletive)” to which Washburn responded by cracking him across the face with the pistol, the Indianapolis Star reported. That caused the gun to go off, and when Washburn swung again at the victim, but missed, it went off a second time, cops say. No one was hurt. The police report does not name the Bruno Mars song the men were arguing about. The victim and another man who witnessed the fight waited several hours before filing a police report, saying they waited because they were so shocked over what had happened they weren’t sure what to do. Police say Washburn admitted to hitting his friend in the face with his .38 revolver, and was charged with battery and criminal recklessness with a deadly weapon. PORTER TOWNSHIP, Indiana — She drove straight to the unemployment line. An Indiana school bus driver was fired and charged with felony neglect after letting three students, aged 11, 13 and 17, drive her bus on the way home from school, officials said. 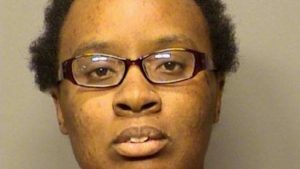 Joandrea McAtee, 27, was handed her walking papers after a Boone Grove parent contacted school officials in Porter Township, the Northwest Indiana Post-Tribune reported. “Welcome to Boone Grove where we let 6th graders drive a bus with children on it,” student Brianna Lavin posted on Twitter along with a video of one of the kids behind the wheel. The three students took turns driving a short distance each down down a rural road, police said. McAtee was immediately relieved of all duties involving Porter Township and the bus service provider. “An investigation was immediately started and no one was injured or harmed. The sheriff’s office and the Porter Township School Corp. take safety and security of every student seriously and every parent must understand that this case will be investigated thoroughly,” school officials said in a statement. CORTLAND, Indiana — Four teenagers gathered for a slumber party were killed and four others hurt after being hit by an SUV as they helped push a stalled car off a winding country road. Police in Jackson County, Indiana say the tragic accident occurred around 11 p.m. Saturday night when Cara Selby’s car broke down a block away from her home where the teens were gathered. As the teens came out to help Selby push her car back to the house, they were hit from behind by an SUV driven by a 24-year-old woman, the Seymour Tribune reported. 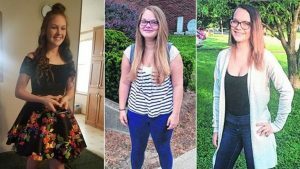 The four teens killed were Nevaeh Law, 14; Jenna A. Helton, 14; Brittany Watson, 15; and Martin Martinez, 16. Four others were hurt, including Selby’s daughter. The driver of the SUV was not immediately charged, although the case remains under investigation. 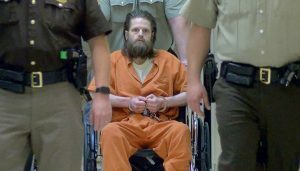 JEFFERSONVILLE, Indiana — A bloodthirsty cannibal who allegedly raped and killed his ex-girlfriend and then ate her remains, has been deemed mentally fit to stand trial. Joseph Oberhansley has been in an Indiana state mental hospital since he was arrested in 2014 for the grisly slaying of his ex, Tammy Jo Blanton. Last week, a state psychiatrist testified that Oberhansley was ready to go to trial. The evaluation can still be challenged by Oberhansley’s attorneys, which would trigger a judicial hearing to determine his competency. “This matter has been going on for four years now, and it’s high time that the victim’s family saw justice done,” Clark County Prosecuting Attorney Jeremy Mull told the Louisville Courier-Journal. Oberhansley was last deemed incompetent by a judge to stand trial in October 2017. Oberhansley, who has a previous conviction for manslaughter in Utah, was arrested in 2014 after police came to Blanton’s house looking for her because she hadn’t shown up for work and found him in her home. When the located her bloody body under a tarpaulin, investigators later determined parts of her heart, lung and brain were missing. Oberhansley later admitted having eaten the missing organs, both cooked and raw. Through various interrogations, Oberhansley has given rambling and sometimes incoherent responses. At a competency hearing last week, Oberhansley said he wanted to fire his lawyers because they were trying to control his thoughts. VALAPARAISO, Indiana — The claws really came out on this one. An Indiana woman unhappy with the manicure she got from a nail salon has been charged with dragging an employee across the parking lot with her car as she tried to leave without paying, cops said. Charley Fowler, 28, has been accused of walking out the Diamond Nails & Spa in Valaparaiso, after refusing to the $30 fee for a manicure. Fowler said she thought they had done a lousy a job and rejected on offer to do it again, reported the Times of Northwest Indiana. 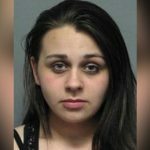 But as she left the store, employees followed her while calling police. 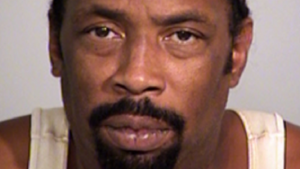 Cops say Fowler then hopped behind the wheel. When she started to pull out, a male employee of the salon was knocked down and dragged across the parking lot. He was not seriously hurt. Fowler was charged preliminarily with misdemeanor theft and criminal recklessness. Her attorney argues that the altercation is a civil matter and belongs in civil rather than criminal court. INDIANAPOLIS — A man who dressed up as an elderly woman to sneak up and shoot his ex-girlfriend and her brother as they loaded a group of kids into a car has been sentenced to 80 years in prison, prosecutors said. Michael Love, donned a a brown dress, stockings knotted at the knee, a wig and mask on July 22, 2015, as he ran up to the vehicle where his ex and her brother were loading five kids into a car to take to daycare. Love then pulled a gun out of a plastic grocery bag and shot his ex-girlfriend three times in front of the children. He then shot her brother once in the face. Both of them survived. At the time, the ex had gotten an order of protection against Love, barring him from legally coming near her. In November, a jury convicted Love of two counts of attempted murder. HAMMOND, Indiana — If you thought you could get away with this, I’ve got a bridge to sell you. An Indiana scrap metal dealer has been charged with stealing a rusting railway bridge bit by bit and selling it for cash despite being told repeatedly by officials to leave it alone. 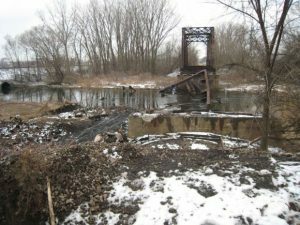 Kenneth Morrison, owner of T & K Metals, had initially approached the city of Hammond back in 1991 about buying the remnants of the 107-year-old Monon Bridge for $500 and selling it for scrap but had his bid denied. Then in 2014, Morrison tried again to buy the bridge — which spans the Grand Calumet River and hadn’t been used in decades — but before getting an answer from the city, or securing any permits, he began taking it apart and leaving large creosote-soaked chunks laying in the water, prosecutors say. After local officials noticed the bridge was being taken apart, they eventually caught Morrison in the act. He defended his actions, claiming the bridge was clearly abandoned and was a danger that he was doing the city a favor by removing it. Authorities say he took in $18,000 in cash for the scrap metal he sold to dealers in Illinois that had come from the bridge. He has been charged federally with transporting stolen property across state lines. Morrison had previously been charged by Indiana officials with polluting the river. 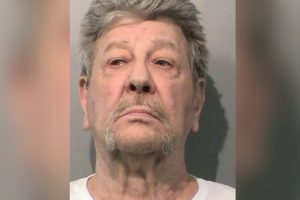 HAMMOND, Indiana — A crackpot engineer who had repeatedly run for local office in northwest Indiana, has been charged with mailing a pipe bomb that nearly killed a postal worker. 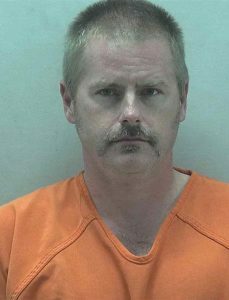 Eric Krieg, 45, of Munster, Indiana was also charged with mailing a bullet to a man he had sparred with on a political blog with a note warning that “the next one will be in the back of your head,” federal prosecutors said. Krieg, who has run for various offices as a Republican in the heavily Democratic Lake County over the years, alleged had intended the bomb for an attorney for a man who had won a defamation suit against Krieg for $60,000, forcing him to declare bankruptcy. The attorney’s brother is Hammond Mayor Thomas McDermott Jr., with whom Krieg had also fought with over politics over the years. Federal officials say Krieg had dropped the package off at an East Chicago post office on Sept. 6, but that it went off as it was being handled by a 7-months pregnant postal worker. She and the baby survived the blast. Three weeks later, authorities allege Krieg sent an envelope containing the bullet to a man he had argued with several times on a local political chat board. Krieg has a master’s degree in engineering from the Illinois Institute of Technology and worked at the BP Whiting oil refinery — the sixth largest in the U.S. — located on the shores of Lake Michigan. He was a charged with possession of a destructive device and transporting explosive materials. CRAWFORDSVILLE, Indiana — This is when you really don’t want art imitating life. Police opened fire at an actor playing an armed and masked robber as he acted out a scene in Crawfordsville, Indiana, authorities said. The officers were responding to a 911 call of a robbery in progress after witnesses spotted a man wearing ski mask and carrying a gun, walk into the Backstep Brewery. When the cops arrived, they saw actor Jim Dunn, still wearing the mask, walk out of the pub. “He was the only person that backed out, the only one that came out and he was in a ski mask and holding a weapon. Whether it’s real or not, you don’t know that at the time,” Sgt. 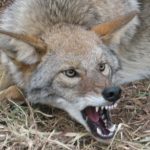 Kim Riley of the Indiana State Police told WXIN-TV. The officers shouted at Duff to drop the gun, but he allegedly turned towards them with the weapon — which was just a movie prop — in hand. That prompted the officers to open fire. As it turned out, the movie was being entirely shot inside, so the film equipment and crew were not visible from the street. “During the scene, a masked robber was supposed to flee the place after being intimidated by the patrons inside. Once outside, from what witnesses could hear and see, the actor complied with the police, removed his mask, and a gunshot was fired,” the film company, Montgomery County Movies, said on Facebook. MICHIGAN CITY, Indiana — A diabolical Indiana hospital worker who became known as “the angel of death” for intentionally killing as many as 150 mostly elderly patients, has died while serving a 360-year sentence, officials said. 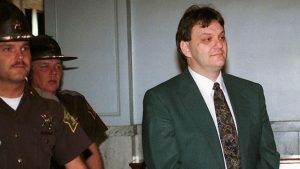 Orville Majors, 56, was convicted in 1999 in the death of six patients at Vermillion County Hospital who had been administered heart stopping drugs. But he had long been eyed in dozens more suspicious deaths during a 22 month period between 1993 and 1995. Indiana prison officials said Majors had collapsed in his cell on Sunday at Indiana State Prison and later died at a nearby hospital. An autopsy determined he had died of natural causes, WANE-TV reported. Majors’ reign of terror was relatively short after hospital officials soon detected an alarming spike in unexplained deaths. In total, the hospital had typically recorded an average of 26 deaths annually in the years before his arrival. But the number shot up over 100 ater Majors began working there as a nurse. His earliest projected release date had been July 1, 2177.